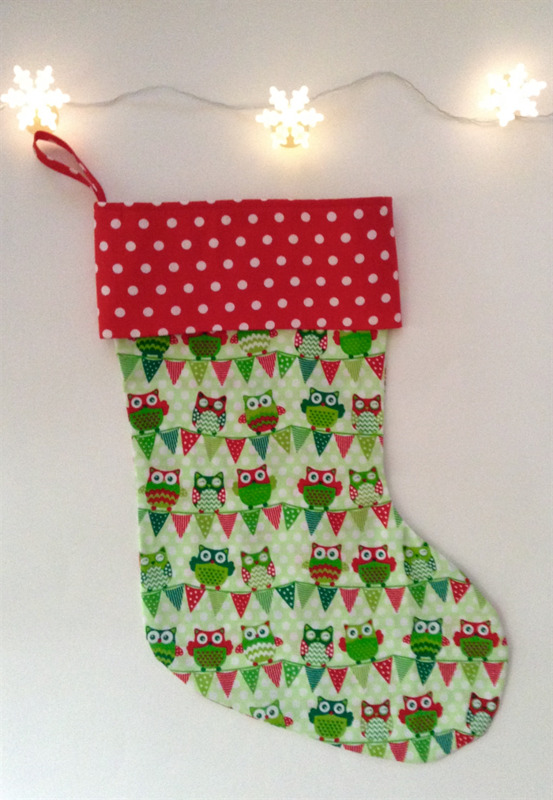 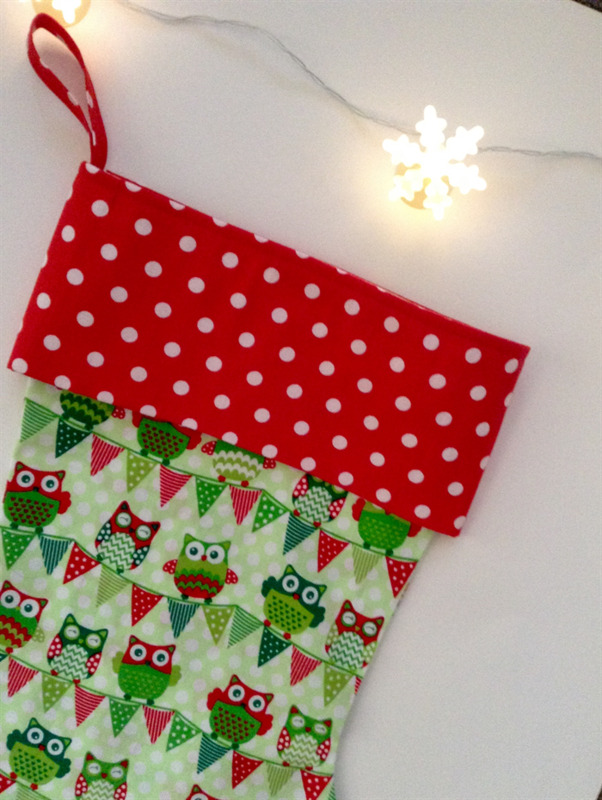 Cute owl stocking made out of cotton quilting fabric. 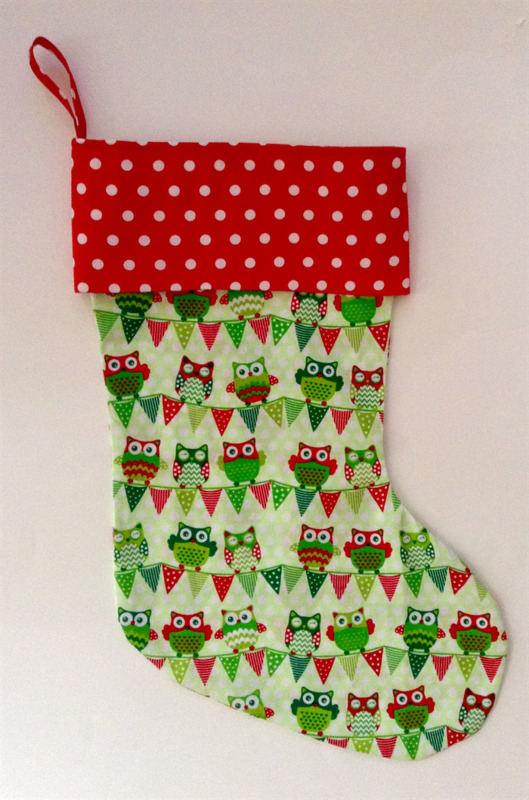 Measures appox 42cm long. 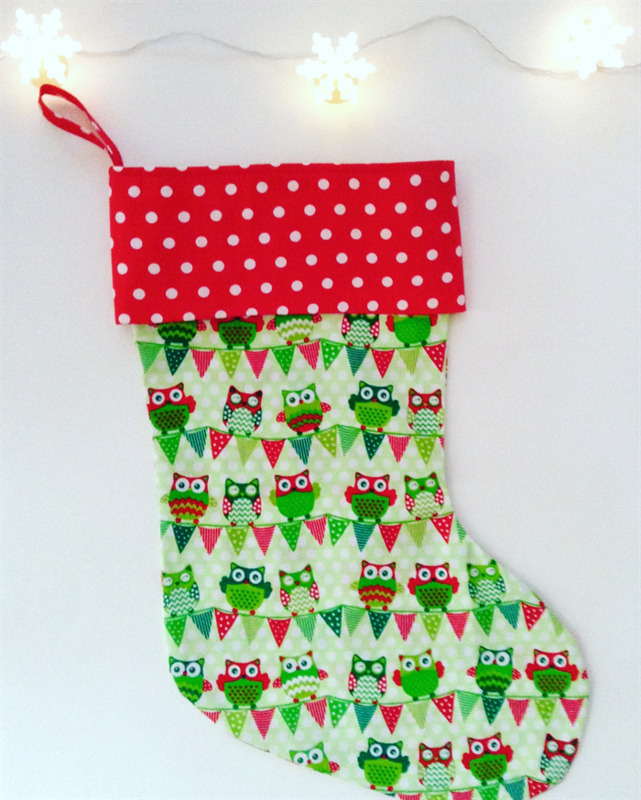 Perfect for leaving out for Santas treasures.